One of the my favorite things about fall is coming home to a warm bowl of soup, I am in love with this Clam Chowder Recipe. For me, there is nothing like a bit steaming bowl of soup. Using the Tasteful Selections of potatoes means that with the potatoes pre-washed, and being of a small size I know I can prepare a bowl of soup that is tasty and quick and easy to make. By using these carefully selected potatoes, I can cook up a bowl of soup that tastes like I spent all afternoon cooking this soup. This quick and easy clam chowder can be put together so quickly, and it tastes so much better than any canned soup that you might purchase in the store. These potatoes are pre-washed and require no peeling and little prep work. Since they are of even size they good evenly. 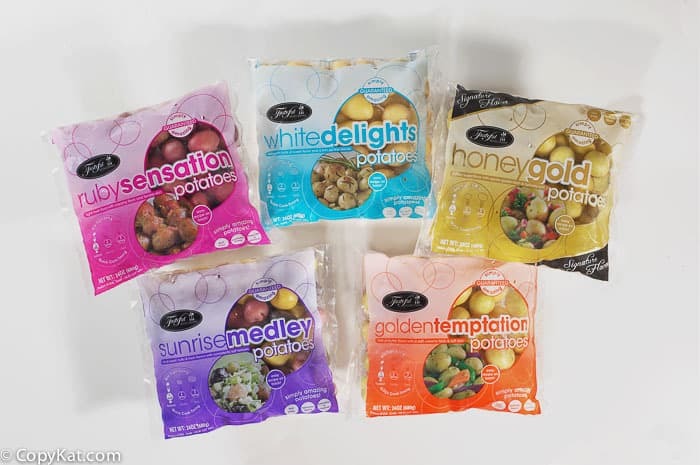 · A portion of the profits from specially marked bags of Tasteful Selections’ Ruby Sensation and Honey Gold potatoes will go to the non-profit to help maintain current Katie’s Krops grantees and gardens and provide funding for a new grant cycle. One of the reasons I really like homemade clam chowder is it is filled with potatoes, clams, and flavor. I grew up eating soup from a can, but did you know when you make it from scratch it is simply amazing. When you use Tasteful Selections potatoes your soup will come together quickly. This soup has added flavor by using clam juice for added flavor. I find that if you use a bottle or two of clam juice you will have an amazing flavor. This is a sponsored post, the recipe and opinions are my own. 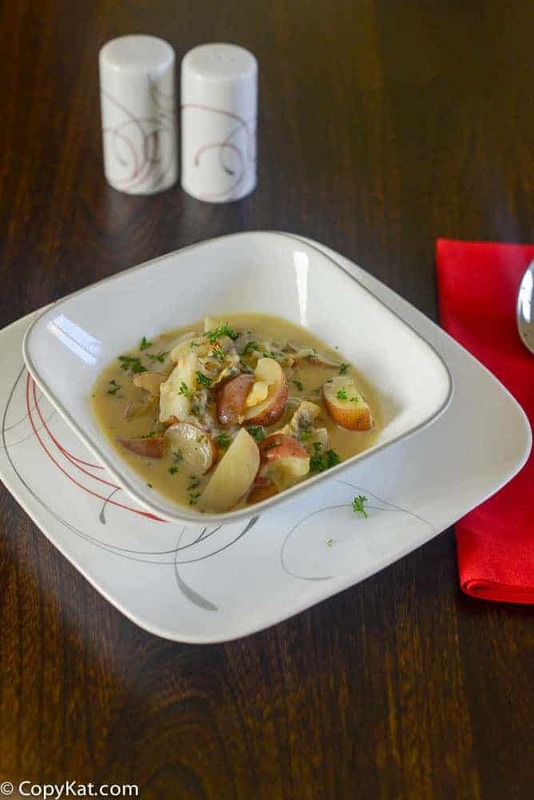 Clam Chowder is so easy to make! Don't buy cans of soup. Saute white onion in butter until the onions become translucent in a medium size saucepan over medium heat. Sprinkle flour over onions and stir until the flour is cooked. It will become fragrant like pie crust when the flour has cooked. Add the clam juice about 1/2 cup at a time to the roux in the sauce pan. Add bay leaf to the clam chowder. Add clam and quartered potatoes to the soup. Cook for about 15 minutes or until the potatoes become tender. Before serving add heavy cream and heat soup until it is warm enough to serve.Garnish with bacon bits and fresh parsley. love the red potatoes the soup is delicious !!!! I love those potatoes and find it hard not to grab a bag or two every time I walk by! This soup sounds incredible. Perfect for the snowflakes in our current forecast! Thank you Melanie! I love these potatoes, they are so easy to cook with. I am working on a cheeseburger soup with these potatoes right now. I love those potatoes! I always have the gold ones in my pantry. This chowder looks delicious! I am really big on those gold potatoes!